My husband F., our daughter K., and I took a weekend road trip to Portland, OR, where K. and I attended a blogging conference while F. got to explore and take lots of photos. 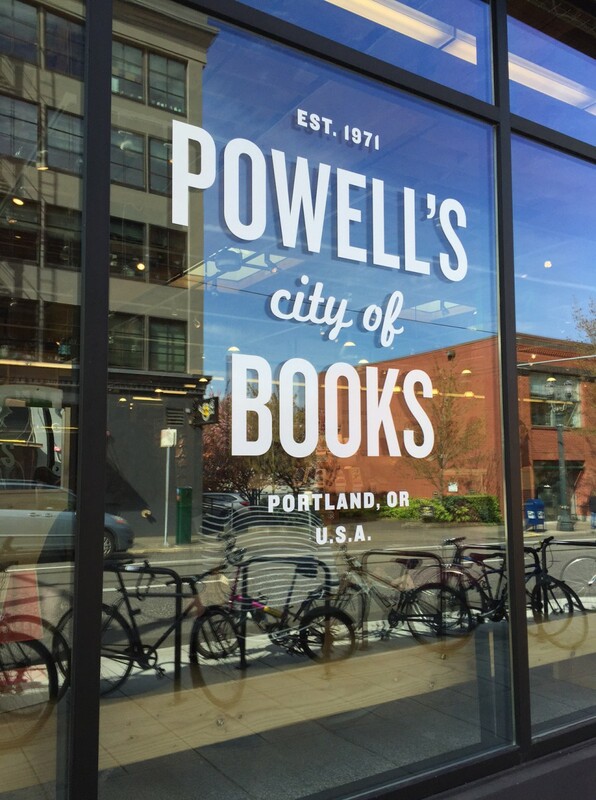 I don’t remember when I first heard of Powell’s Books, but it was long before the Pacific Northwest was on our personal radar. It’s well known among book lovers. This place is HUGE: It occupies an entire city block and stocks more than one million new and used books displayed in nine color-coded rooms divided into 3,500 different sections. The store also features a gallery that hosts a new art exhibit every month as well as many author events. Authors who have appeared here in the past include Roddy Doyle, Joyce Carol Oates, Michael Chabon, and Annie Leibovitz. But wait, there’s more: The Rare Book Room offers autographed first editions and other collectible volumes. 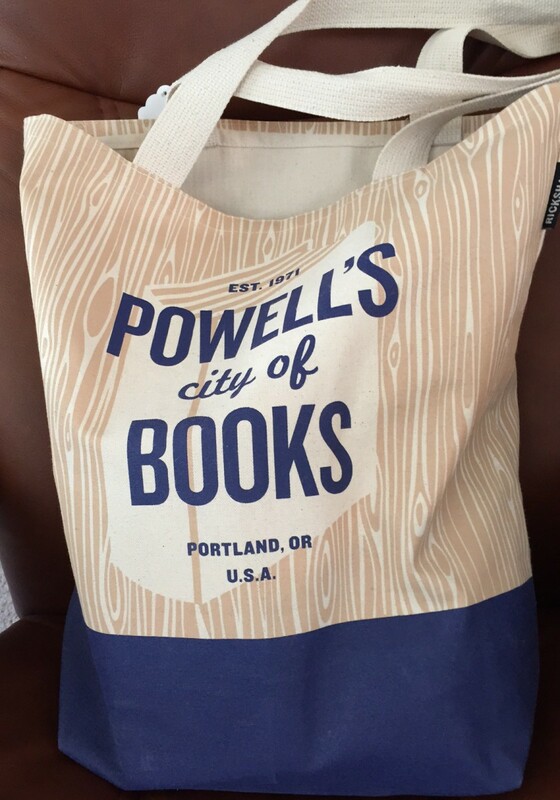 And, in order to offer used books, Powell’s purchases used books from the public. Before leaving for home on Sunday, after the conference, we took a quick trip through the Portland Saturday Market , which now, luckily, is also open on Sundays. 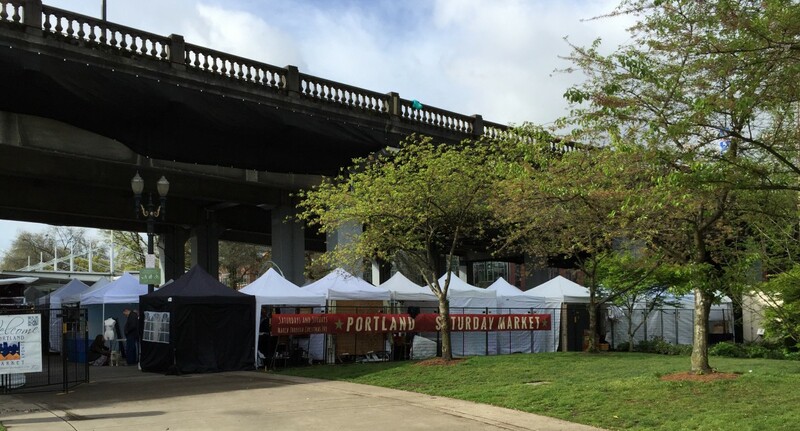 The Portland Saturday Market (PSM) was founded in 1974 by two Portland-area artists as an open-air market selling handmade food and craft items. In 1976 the market moved from a parking lot to a location under the Burnside Bridge. In 1977 the market began opening on Sundays as well as Saturdays. Redevelopment of Portland’s historic Old Town district began in 2006, and the market moved to its current location in Waterfront Park in 2009. Under Oregon law, PSM is “a mutual benefit corporation, a special class of institutions that do not make a profit, but exist for the economic benefit of their members, making PSM a non-profit organization that is not tax-exempt.” Today it has more than 350 members, generates about $8 million in gross sales annually, and is one of the largest tourist attractions in Portland. Seven full-time and 10 part-time staff members administer the market and its programs. Everything at PSM is handcrafted by the vendor who is selling it. 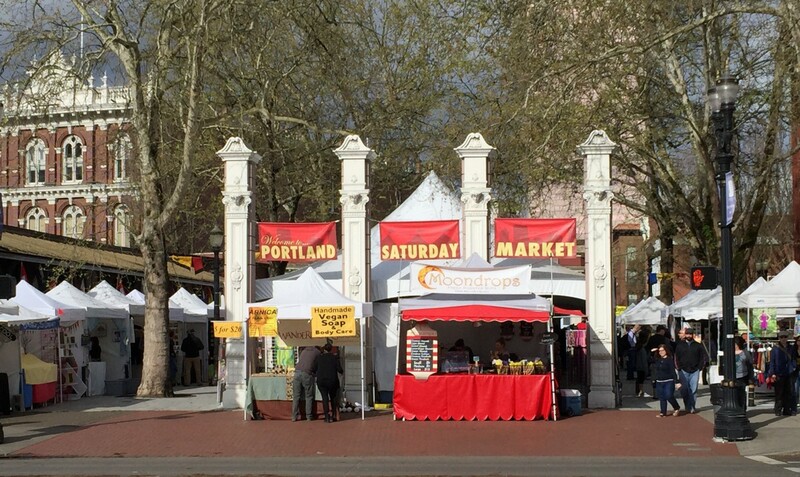 Vendors are small business owners from Oregon and Washington. The market is open every weekend from March through Christmas Eve, and is open the entire week before Christmas for last-minute shopping. Admission for shoppers is free. My husband and I visited PSM about 15 years ago when we were in Portland to embark on a boat cruise of the Columbia River. We were amazed at how much bigger the market is now. There are so many great products to see: jewelry, clothing, pottery, art, photography, candles, leather goods. Because PSM is a juried market, all products are of high quality. Even if you don’t buy anything, PSM is worth a visit for the street fair atmosphere, the original products, and the food. My daughter and I both exercised great restraint: We each came away with only one set of earrings and matching necklace. If you were asked to spend a year living in a different location, where would you choose and why? Since I haven’t done much international traveling, the first thought that came to mind when I read this prompt was Dublin. A year ago we took only our second trip out of the Unites States, to Ireland, and simply loved it. It was one of those whirlwind tours that took us to a different place every day or two. The purpose of such trips is to allow you to get your money’s worth by squeezing as many places as possible into a short time. But you don’t get to spend much time in any one place. And so I’d like to go back to Dublin and soak in the local ambiance. The Dublin Writers Museum reminded me of just how rich Irish literary history is. But the real draw for me is that I still have as one item on my bucket list to read through James Joyce’s Ulysses, a copy of which I bought on last year’s trip. 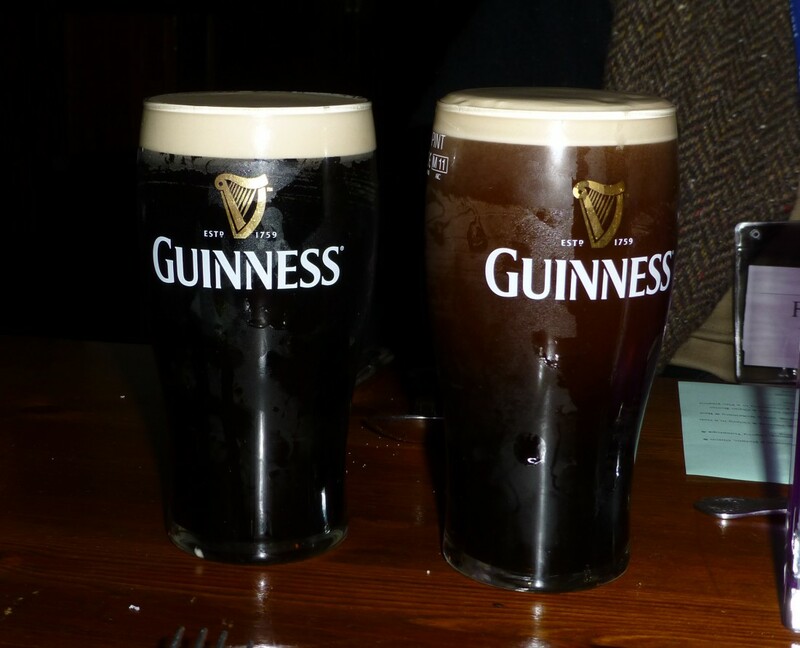 What better place to do that than in Dublin? And then I’d be able to participate in Bloomsday activities, following the path Leopold Bloom took while wandering around the city and thinking his thoughts. 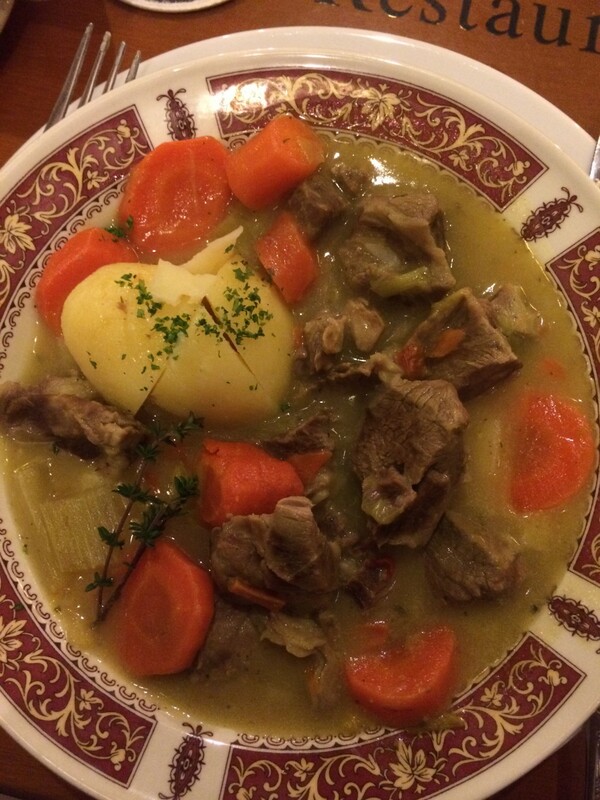 What could possibly be better than that (besides a few pints of Guinness and plates of Irish stew in a few local pubs)? It might take me most of the year to get through Ulysses, but I hope I’d also have time to take a few side trips. I’d like to hop over to London for a while and check out the Poet’s Corner in Westminster Abbey and attend a play in the reconstructed Globe Theatre. And one other item high on my bucket list is to see Stonehenge. And of course there are all kinds of other literary places to visit, both in London (Baker Street, anyone?) and throughout England (Agatha Raisin’s Cotswolds, Thomas Hardy country, Jane Austen’s milieu, and those Wuthering Heights). Now I’m sad that this is a purely hypothetical exercise. Dublin would be a great place to study abroad, both in its own right and as a jumping-off point for other adventures.